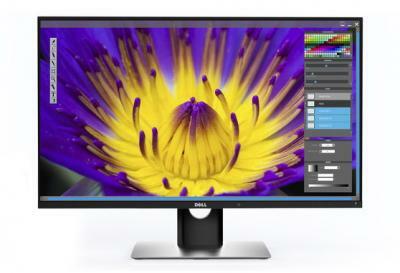 Dell's Ultrasharp UP3017Q OLED is a high-end 30" 4K (3840x2160, 147 PP) OLED monitor. Features include a refresh rate of 60Hz, viewing angle of 178 degrees (both vertical and horizontal) and a brightness of 300 cd/m2. The monitor supports mDP (1.2), HDMI (2) and USB type C.
The UltraSharp UP3017Q OLED monitor is now shipping for $3,499.